Since mobile phone is the object that everyone carries at all times, it's no wonder that technocrats will find out innovative ways and means to add value to that hand-held object. 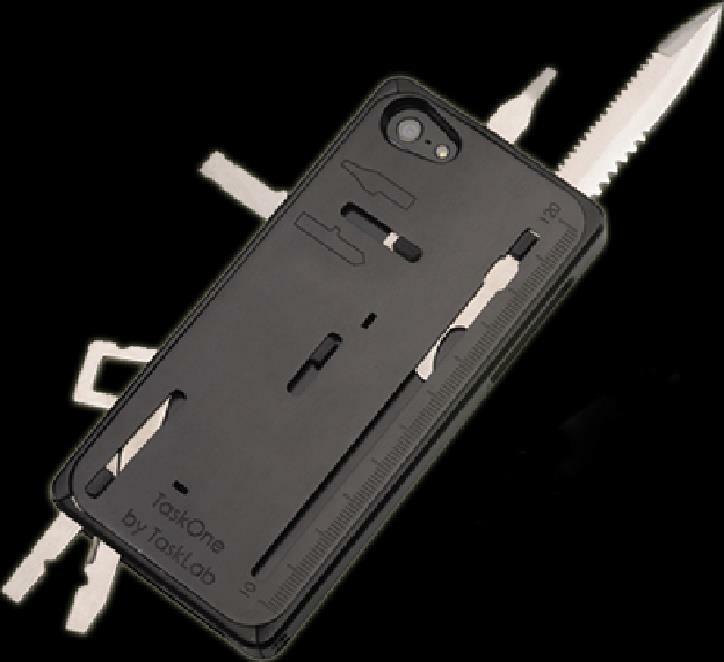 Now TaskLab has introduced a multitasking iPhone case which apart from protecting your expensive iPhones, would carry as many as 22 other tools in it and could be compared to that of a Swiss-Army knife as well. Made of high-impact polycarbonate material, the TaskOne is a gadget apt for the current day situations while protecting the costly iPhones from the rough usage like scratches and accidental drops. 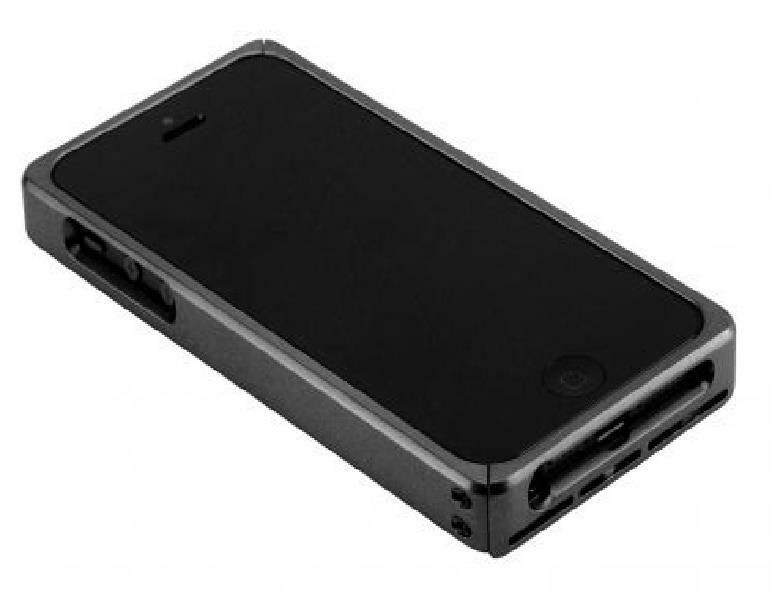 The case is supported with four Allen screws that are attached to the iPhone through a band encircling the iPhone and protects the back. All the tools are attached with the case as the product is sturdy enough to take the weight of these tools. There are 6 metric Allen wrenches that are of Bike Sizes with a dimension of 2.5-6mm. The tools that are included in this iPhone case have their own utility values and one can use them at their own discretion depending upon the situation they are in. To me it looked more as a safety gadget that can help you in situations where you are stuck up. It can very well be used as a safety weapon when there is any possibility of an assault. From a layman's point of view the case can come handy for small repairs, even work for some jammed object, the screw drivers can come to various usage which cannot be predicted off the relevant situations. The bottle-opener appeared to be the only "jovial" tool among the serious-looking ones, and its needless to say, when one could be in need to use it. The blades, the saw blade and the knife worked quite well till it is new, but how long they work is yet to be observed through time. But it is always advisable not to carry this case along with you if you have to pass through any TSA checkpoints like the ones at the airports. The idea of making a phone case converted into a multitasking gadget is itself a plus point of the product. The very fact that the object which is anyway accompanying us makes the ground more strong behind making such a product. Mobile phones are working well with security measures, if the case adds to it, what could be better? I found the tools quite handy and not over sized. The sharpness of the blades show the functionality exactly the same as they were advertised. The case could be used as a separate gadget too apart from protecting the phone. The most amazing factor is that, even the collection of 22 number of tools don't make it heavy and uncomfortable to use. Unexpectedly the Allen wrenches given in the case are not working perfectly with the screws. The tools are repetitive and lack variety. The types of tool that are included with the case doesn't match with the utility of the phone. Obviously you won't try repairing a rugged machine when you know there's a costly iPhone just lying inside the case, even when it is kept safe. If the gadget cannot pass through the TSA checkpoints, it could not be carried outstation, then where's the point in owning one? The overall concept of turning a phone case as a tool box is appreciable. But what I felt is, some more practical imagination is required while choosing the tools. The tools are more of the rugged weapon type that would go better with that of a key chain. But when you carry a costly phone inside, you expect some more sophistication that would serve both the purpose of protecting the phone and its user. Tasklab can think it over and can make some changes in the selection of tools or can leave the option of selecting them to the user. : The price for the iPhone 5/5s version is $74.95, and for the iPhone 4/4S version it is $79.95.